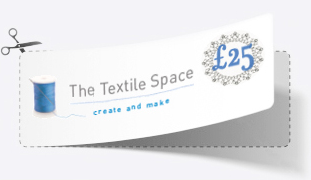 The Textile Foundation starts on 30th September and is a six month course. Please see full details by clicking on the Foundation tab at the top of the page. If you are interested in joining then please contact me. I am thrilled to be back on the Art Trail this year with rug maker Carole Richmond. Come and visit us and see all that we do. See our work in progress. 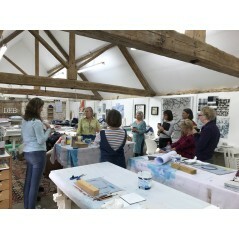 There will be demonstrations at 11.30am and 3.30pm every day. 4th, 5th and 6th May and 11th and 12th May 10.30am - 5.30pm each day. Talking Textiles, will be a day of presentations from leading contemporary artists who work with thread. 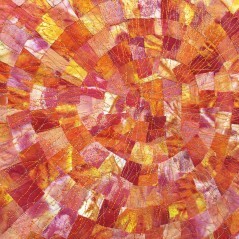 Talking Textiles will be about exploring textile art , the maker and how they approach their art. Ann Sutton MBE in conversation with Deborah Harwood. Ann Sutton, Internationally renowned artist with a commitment to innovation, new materials and a joie de vivre in every work will be talking with Deborah Harwood about her work and her life as a rebel! Speakers: Claire Benn - artist, teacher and writer of the must-read blog Her Quiet Materials Ptolemy Mann - weaver with works in major collections and venues around the world. Kessia St Clair, best-selling author of The Secret Life of Colour and the Golden Thread. Deborah Harwood, artist and founder of The Textile Space.